Oh my goodness. 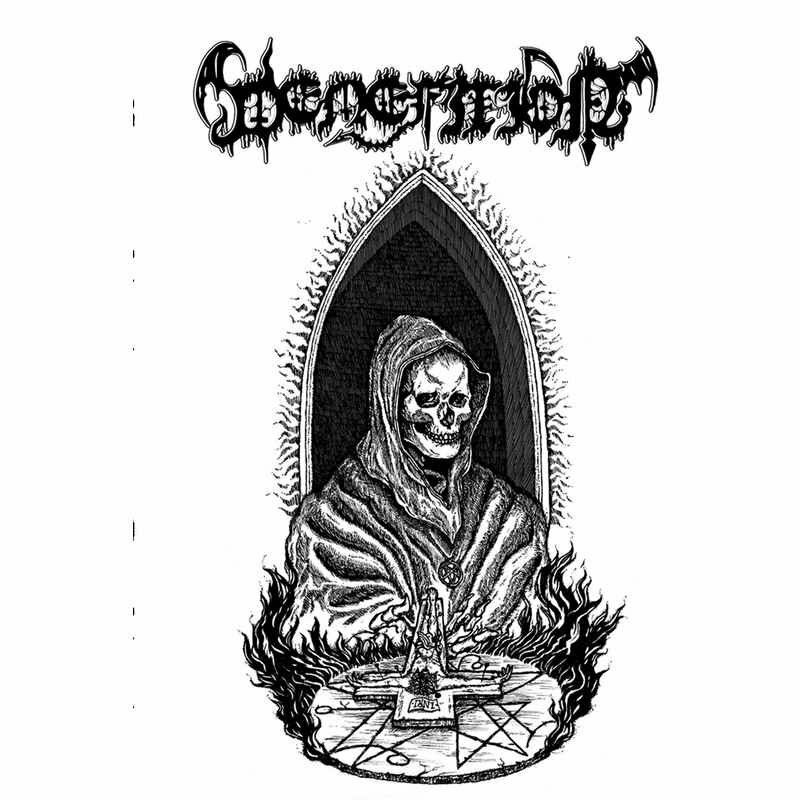 either I am slowly becoming an Iron Bonehead fanboy raving about multiple demos just this year or there is a palatable stream of good material being unearthed by this label. Both may be true. 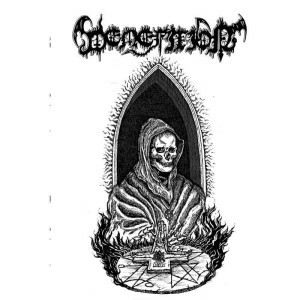 I also maybe a sucker for hilarious blasphemy in artwork and Defixio, the debut from Venefixion has an oddly comedic spin to their artwork. Come towards the skeleton bearing a crucifix. All jokes aside, this demo murders its way through throngs of unsuspecting innocents for its entire 14 minutes. If you do not believe me, close your eyes to the beginning of “Morbid Casket” and try not to imagine a crowd of 15 concert goers going crazy. With a delicate balance of energy and riffs, Defixio rips a hole in whatever stone coffin it happened to be interred. Venefixion stands somewhat apart of newer depth obsessed death metal with a more compact sound and an a feeling of excitement which is electric in the air. I have been enjoying Defixio so much, I am sort of worried how a full length will fare. The 14 minute time limit is a perfect amount of time to run, jump, and kick over a table with guitar slides and audible grunts. I wonder if this band can pull off the same magic which is replicating the rabid nature of the undead when they swarm and consume the living. I certainly hope for the best.